Lefkes. 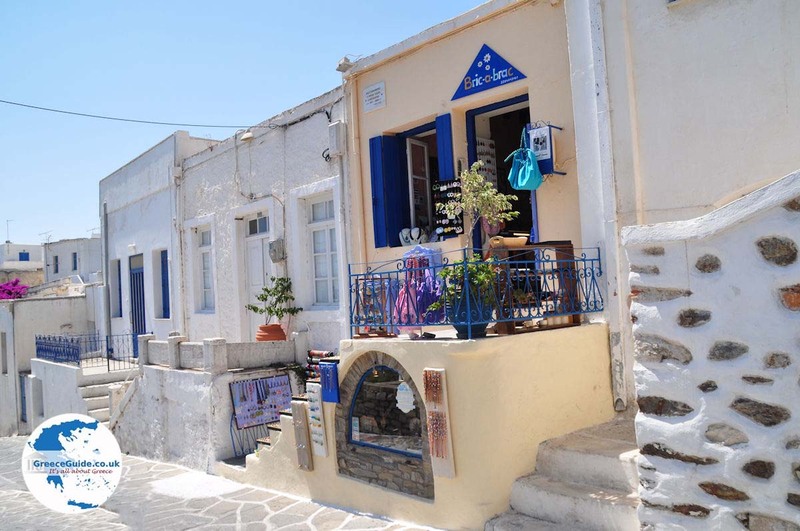 Lefkes is a picturesque mountain village on the Greek island of Paros, located in a valley, surrounded by low hills, ten kilometers (6 mi) southeast of Parikia. Five hundred inhabitants make Lefkes their home. It is a cozy village, with historic mansions. 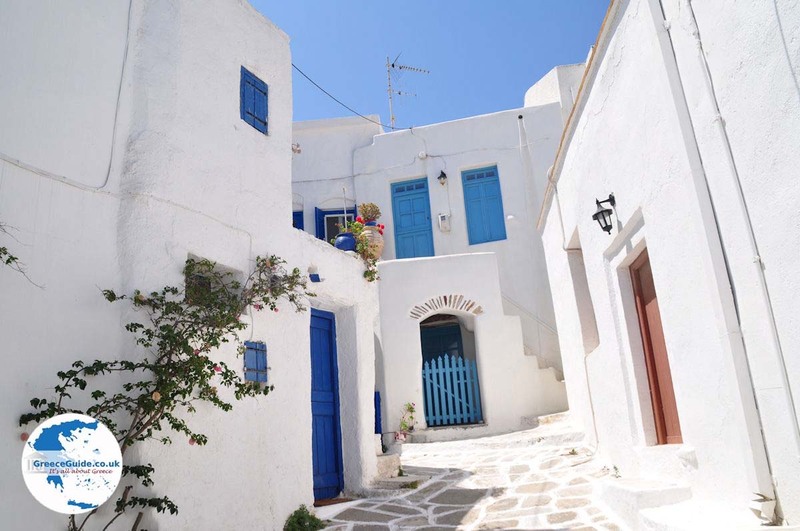 Narrow alleys are paved with stones and it has a picturesque village square. 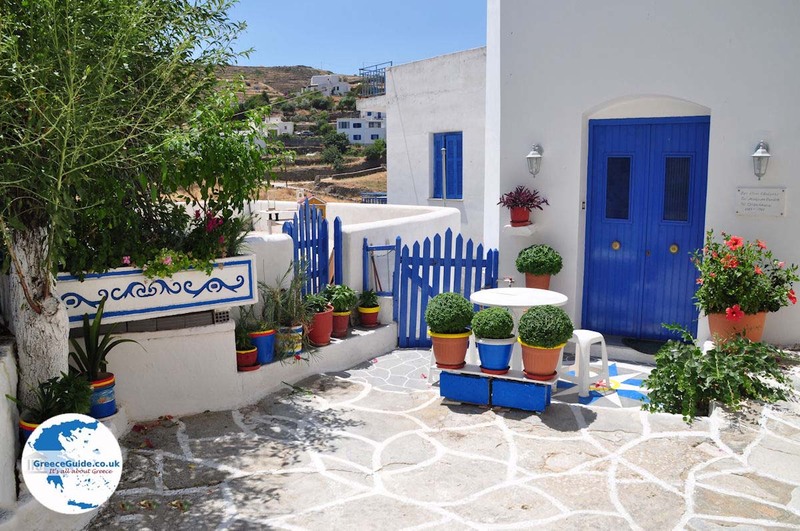 All terraces are decorated with flowers, and the village is surrounded by pine, eucalyptus and olive trees. Beautiful! Lefkes was founded in the 15th century. The village has several beautiful churches, some dating from the 17th century. 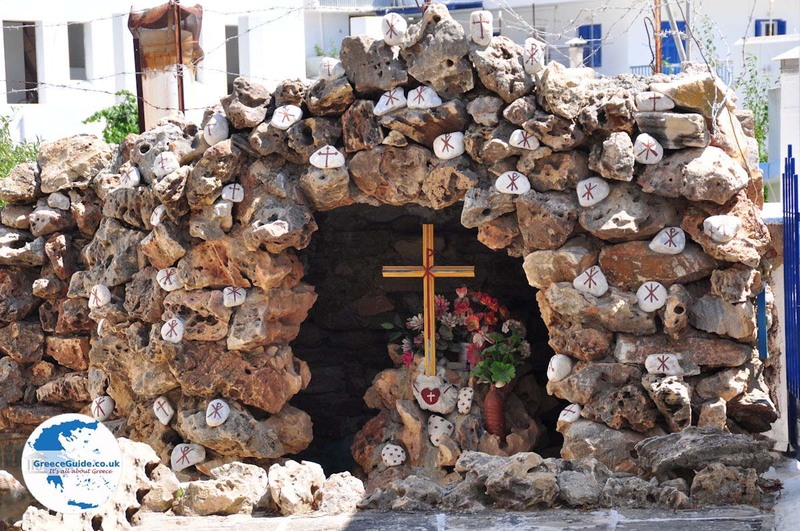 The most famous church is the Agia Triada (Holy Trinity) with rare Byzantine icons. The church is built of local marble. 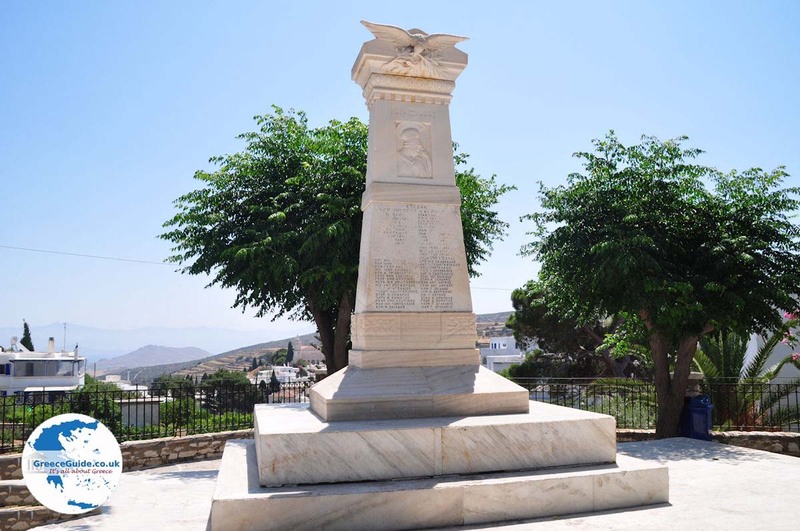 Other major attractions include the war memorial in the village square, windmills, a traditional café, and local woven and sculptured crafts. 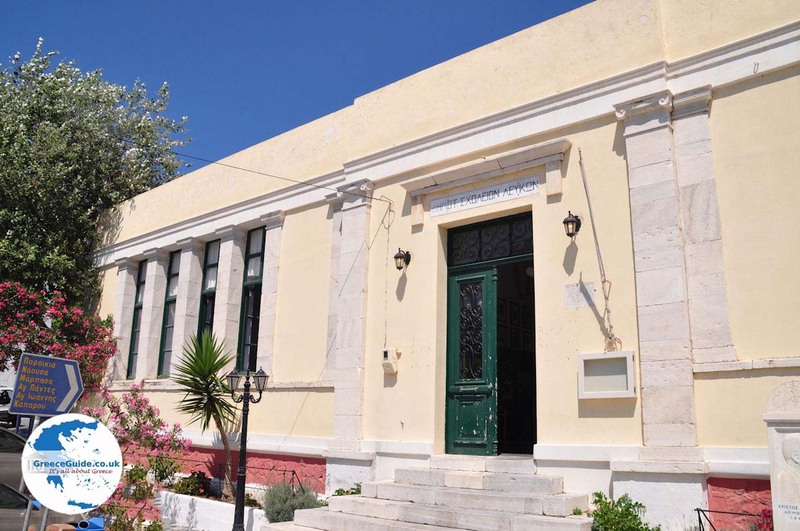 Outside the village are several monasteries that are open to visitors, such as the Monastery of Aghios Ioannis Kaparos (17th century) and the Monastery of Agia Kyriaki. 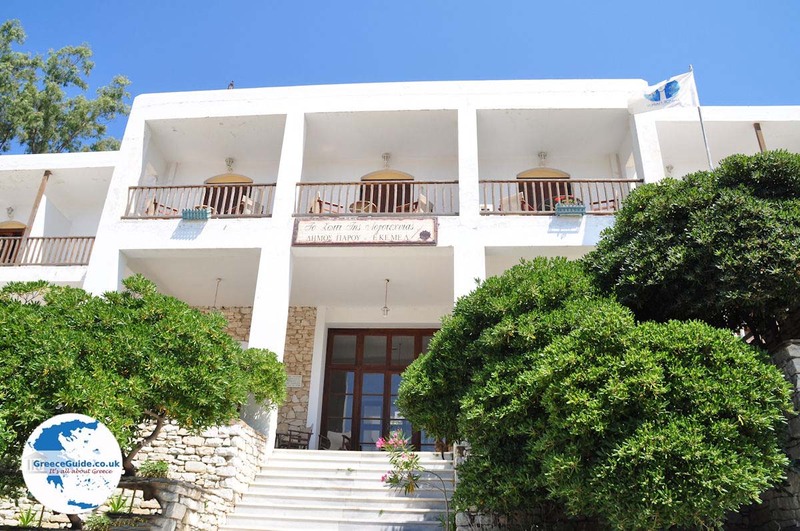 Rooms are available for rent and there is also a hotel, called Lefkes Village, in the village. 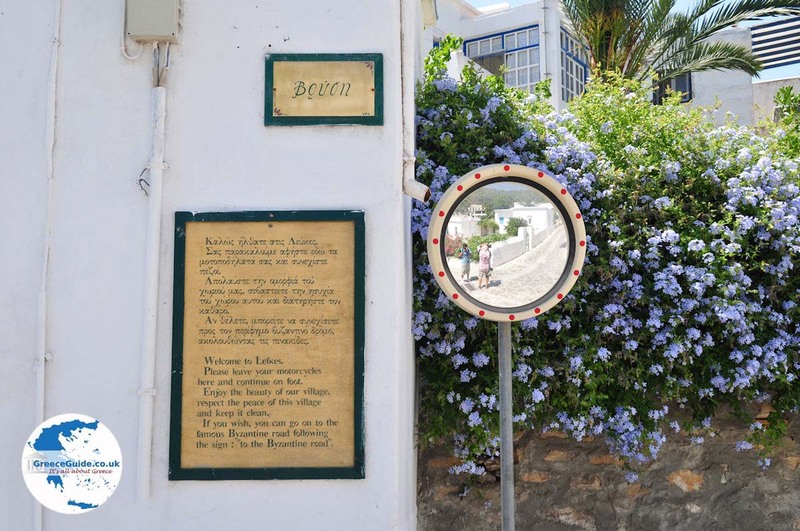 Within this hotel is a folk museum with all kinds of objects from everyday life of the residents of Lefkes. 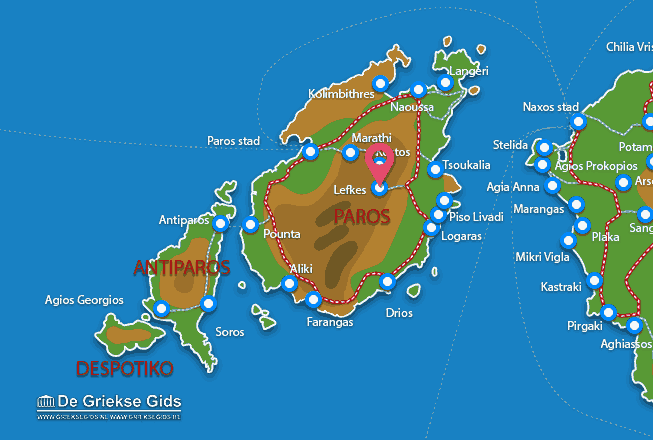 Paros: Where on the map is Lefkes located?